This super soft and warm jacket is as comfortable as it gets for fall hikes and everyday excursions. 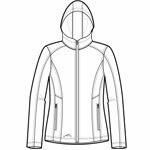 Front zippered pockets with tricot lining, open cuffs and an open hem. Princess seams, reverse coil dyed-to-match zippers, contrast Eddie Bauer logo embroidered on right hem. 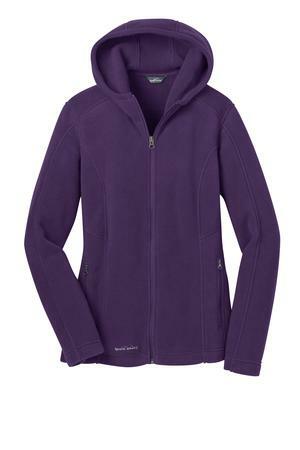 Made of 12-ounce, 100% polyester fleece which incorporates Low Impact Technology for enhanced softness and performance.